Suitable for a foreign company which incorporates a subsidiary company in Singapore and it has no current plans to relocate any of its senior staff to Singapore. In that case Transcend will provide nominee Director on annual basis. Suitable for people who are Singapore Citizen or Singapore Permanent resident or on Employment or dependent pass. 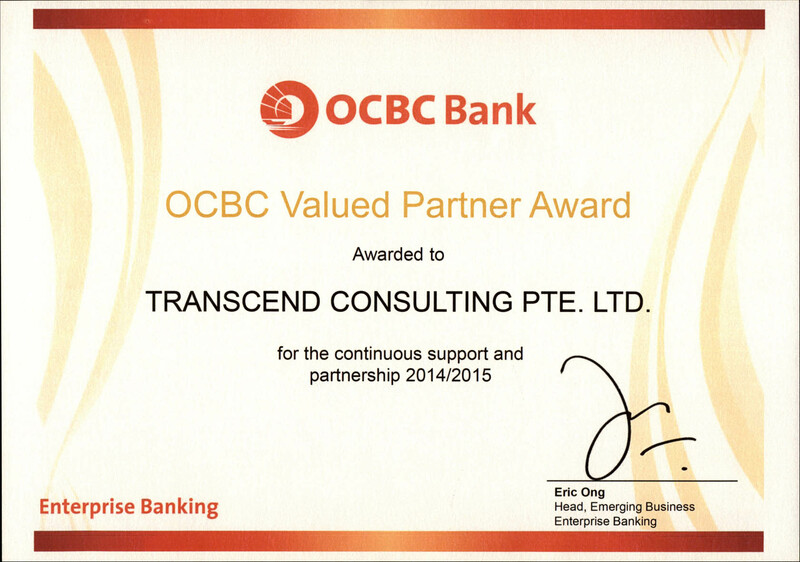 Transcend provides company registration services and corporate secretary in this case. Drop a quick note to us if you have any questions. In how many days can I open a bank account for my company which is newly registered in Singapore? The first step towards opening a bank account is a meeting with a bank representative. The meeting takes around 1 hour and soon after the meeting, the account for the company is submitted for approval. The account opening procedure is completed within 2-3 days. Post the opening of the account, a bank usually takes a maximum of 2 weeks to prepare the checkbooks, internet token, debit card and password slip. The time span varies across different banks. The aforementioned documents are sent to the registered address of the company. What action should I take after receiving the kit from the bank? As a precautionary measure to avoid fraudulent activities, a majority of the banks require you to send a confirmation stating the receipt of the internet token. After the confirmation, the internet token is activated by the bank. In how many days does my bank account become operational? The money can be received in the account within 2-3 days. But, if you want to transfer the money online from your bank account to another, you will have to wait for 2-3 weeks until the internet token is activated by the bank. What are the initial deposit requirements for bank account? Can I open bank account first and then do bank transfer? No. In most of the cases initial deposit for the bank account must be paid at the time of opening the account. Please carry 3000 SGD for opening SGD account or 1000 SGD for opening USD or EURO account. What are the essential documents required to open a bank account? Refer to the documents we have mentioned on bank account opening page. However, this is a comprehensive list and the bank may ask you additional documents to complete the account opening procedure. Moreover, if you are foreign national from some specific countries you will have to submit additional documents. You can contact us to experience a hassle free procedure. How can I use the internet banking facilities? The exchange control norms were abolished in Singapore long time back. With this abolition, companies and individuals can now keep the amount in a currency of their choice. Additionally, they can transfer money in and out of the country without any interference or restriction from the government. This is the most highlighted feature of any Singapore bank account. Usually you will need to login to internet banking with your user id, password and a random password provided by the token. Once logged in you can do various transactions like checking balance, printing statements or remitting money to other bank account internationally. With a Singapore account, can I make a transaction with UN sanctioned companies like Cuba, Iran and Sudan? According to the monetary authority of Singapore, banks cannot allow transactions and they are not allowed remittances to the UN or the US sanctioned countries like Cuba, Iran and Sudan. Can I transfer any amount of money in and out of my account or is there a restriction on the transferring? Singapore banks do not levy any restriction on remitting funds in and out of the country. However, if the inflow or outflow is not in-line with your business, then the bank may ask you to submit additional documents. The document asked either be contract of sales or invoices. Is it possible to open my account in multiple currencies? Will I need multiple tokens for the internet banking? Yes, it is possible to open an account in multiple currencies. You can open your Singapore bank account in SGD as well as USD (Or EUR, GBP, AUD etc). The account is registered under one username and token id. Therefore, you will not require any additional token to access the internet banking. All the accounts of different currencies will be administered under one token id. What is a internet banking token? In addition to the login id and password provided by the bank, you are given a random password generator devise called as the token. This is a second level of security to ensure the safety of money deposited by the customer. Every time you login, you are required to punch in the token to access the internet banking services of the bank. Am I eligible for a credit card? Banks will not provide you with a credit card for a business account. However, you will be given a debit Mastercard by the bank. The debit card is given only for the SGD account. The debit card can be used in any online transactions like ticket booking, hotels, etc. The expenses incurred on the card if any are deducted from the bank account itself. Is it possible to have more than one signatory to my bank account? Yes, you can have more than one signatory for the bank account. However, the signatory must personally be present when the addition process is taking place. This is because the bank staff will verify the details of the signatory. Specimen signature of the signatory must be provided in the presence of a bank staff. Can more than 1 person be authorized to operate the internet banking? DO they have to visit Singapore for this purpose? Yes, more than one person can be authorized to operate the internet banking and for this, they need not fly to Singapore. However, you will have to produce a photocopy of their passport and submit it to the bank for filling the required form. Additionally, you can define their role and give them only specific rights in the internet banking transaction. For example, you can make a person the Preparer, which means that he/she can only prepare, the transaction, but is not authorized to make any transaction. In which currency should the account be opened? Always open an account in a currency in which your transactions will be high. If your transactions are more with Europe (in EUR currency), then open an account in Euro. What do you mean by the currency of the bank account? What is its relevance? A SGD currency in the bank account signifies that the account will always be maintained in Singapore dollars. However, this is not a restriction and your account can still receive money in any other currency. But, if you receive money is AUD, it will be converted to SGD. This is as per the bank TT rate on the receipt. Now, if most of your transactions are in AUD, it can pose a problem. It is clearly seen above that you can lose quite a lot of money in a single transaction because of the difference in the buying and selling rate of the bank. Therefore, in such a scenario, it is advisable to maintain an account in AUD and not in SGD. We are a professional firm authorized by ACRA (Accounting & corporate registration Authority of Singapore) to register business entities on behalf of our clients. If you have any questions about business entity, company incorporation, legal and tax aspects of companies, you can drop in our office for a free non obligatory consultation. We provide services like company incorporation, accounting, tax advisory and reporting, employment pass applications, payroll etc. 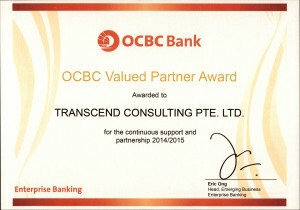 © 2019 Transcend Consulting Pte Ltd Company (UEN No : 201108856D). All rights reserved.